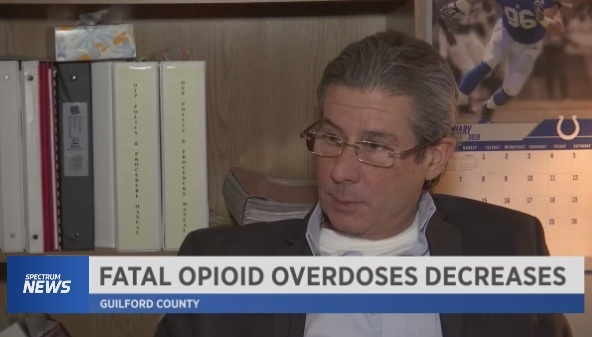 Spectrum News published a segment the week of 1/14/2019 on the recent reduction in Guilford County deaths by opioid overdose. 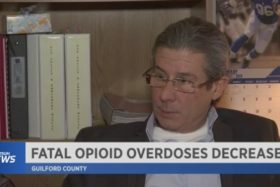 In the piece, Spectrum interviewed Clinical Supervisor Les Quagliano of Alcohol and Drug Services to gain more information on the role that medication plays in the treatment process. Narcan and buprenorphine were highlighted. While deaths by opioid overdose decreased in 2018, overall overdoses were found to have increased thus demonstrating that the local opioid crisis is far from over. Quagliano reinforced that people addicted to opioids are better informed today and are taking more precautions to minimize their personal risk. The public is more familiar now with Narcan as a result of treatment providers and the local news media covering the life saving benefits of naloxone (Narcan). Methadone remains the #1 most effective and affordable form of medication-assisted treatment available for opioid addiction although buprenorphine has received widespread support as a beneficial alternative.